Central A/C. HC accessible ramp from driveway to first floor. This house is located north of 6A (beach side) in East Brewster and is in easy walking distance to Linnell Landing Beach. Close to Orleans and shopping. The main entrance to Nickerson State Park, Bike Trail and Cobie's snack shack are also close by and within walking distance. Quaint summer home on cul-de-sac in a quiet neighborhood. Outdoor shower, & Internet access. Freshwater fishing in many Brewster ponds. Public & private golf courses. BEACH: The house is located on the north side of route 6A so that you do not need to cross route 6A to get to Linnell Landing Beach which is about a quarter mile walk. The Beach parking lot only has room for about 25 cars so it fills up fast if you wish to drive. The beach doesn't get too crowded either. We often drive down in the morning to drop off our Beach gear to stake out our spot for the day and come and go as we please. A Beach Buggy Wheelchair is available for LInnell Landing upon request from the town. BIKING: The Cape Cod Rail Trail is right behind Cobies snack stand and is less than a quarter mile from our house. Brewster is right in the middle of the trail and it provides 25 miles of biking along the old railroad bed from South Dennis to Wellfleet with a spur to Chatham. NICKERSON STATE PARK - is just on the other side of Linnell Landing Rd and is over 1900 Acres of biking, hiking, fishing, swimming and canoeing. NEIGHBORHOOD: The house is located on a safe and quiet dead end street near the cul-de-sac. There are only 11 other houses on the street. central air conditioning for the whole house. Also whole house attic fan. bed linens are provided and will be cleaned by the cleaning service. Towels are not provided!! This is a great home, comfortable living room with open kitchen, very beachy. The location is perfect. It's a 10 minute walk or short bike ride to a beautiful bayside beach that is never crowded. It's also only a 15 minute ride to Nauset Beach if you prefer the ocean waves. My family of five has thoroughly enjoyed staying here for the last 2 summers and plan to rent again next year. Great vacation house, especially for families with little kids. 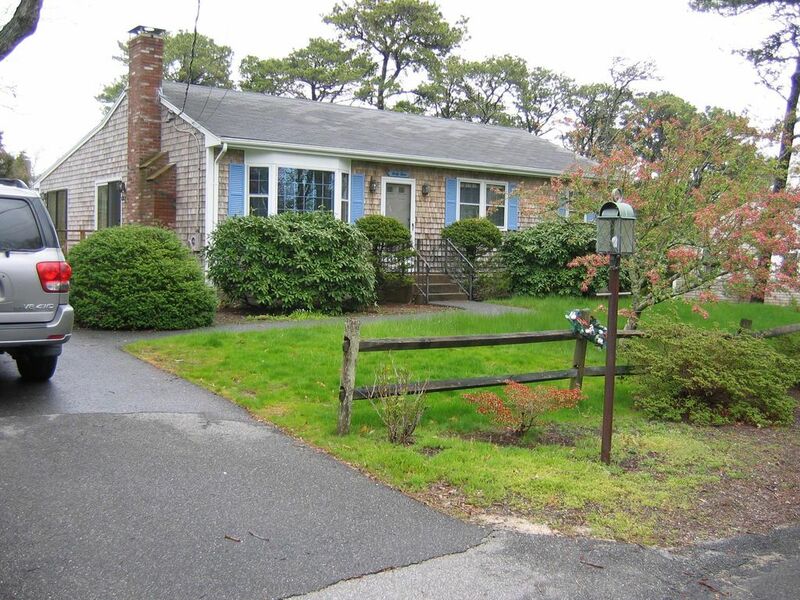 The location is great for anyone that prefers the bayside beaches of cape cod. Its not really walking distance if you have any beach gear with you, but a its very quick drive. The house was clean and well stocked with paper goods and any basic kitchen items. The owners are responsive as well. We have rented the home twice and would consider it again next year. We had an amazing time staying here. The house was big enough for two families (two adult couples, two small children + one baby), and we felt like we had plenty of space. The outdoor shower was amazing. Close walk to a brilliant beach for playing on with children. We did a lot of kite flying at low tide. We also took our bikes and were able to ride on the bike trail as it is so close by. For our active outdoors family who love to run/ride/hike being so close to the bike trail, Nickerson, and the sandbar on the beach when the tide was out was absolutely perfect. The house itself is also lovely, with a great living area. Worked well for hanging out and playing games on a rainy day, too. Fantastic vacation home keeps us coming back! This was our fourth summer vacationing with our extended family at this home. The location can't be beat. The kid safe beach and bike path are both within walking distance. The owners provide everything to make your stay comfortable and easy. Each year there has been something done to update or improve the home. I highly recommend this rental for great family vacation! Nice house and perfect location! The house was clean and spacious with everything we needed for a comfortable stay. It was nice to have so many cleaning supplies and paper goods already there for us. The location was perfect with a short, easy walk to the beach and Cobie's for food and ice cream!! It's also very convenient to the bike path. We loved the deck with the big table and great grill. The outdoor shower was fabulous and the kids fought every day over who would get to use it first! The only reason for not being 5 stars is that the living room couches were past their prime and not particularly comfortable. Overall, great house to rent in a great location!! We do try to make a few improvements each season or add furniture. The living room sofas were on the list and have been replaced for the 2015 season. Thank you for your comment. 1900 Acre Nickerson State Park is very close by with miles of bike paths. The park has eight crystal clear freshwater ponds for fishing, canoeing and swimming. The 25 mile Cape Cod Rail Trail is just across route 6A behind Cobie's Snack Shack and is also a short walk away. Brewster has two 18 hole public golf courses at the Captains course as well as over 30 Art Galleries, Craft and Antique shops mostly along historic Route 6A. Over a third of Brewster's land has been retained as open space or conservation area. There are 8 Bay Beaches in town where you can walk out for about a half mile during low tide on the famous Brewster Flats. There are 3 freshwater Ponds with Beaches as well.